"While our staff are free to pursue their personal interests outside work, they must conduct themselves properly, honorably and with integrity. In particular, they cannot defame someone else without basis, which essentially means knowingly stating a falsehood to the public." 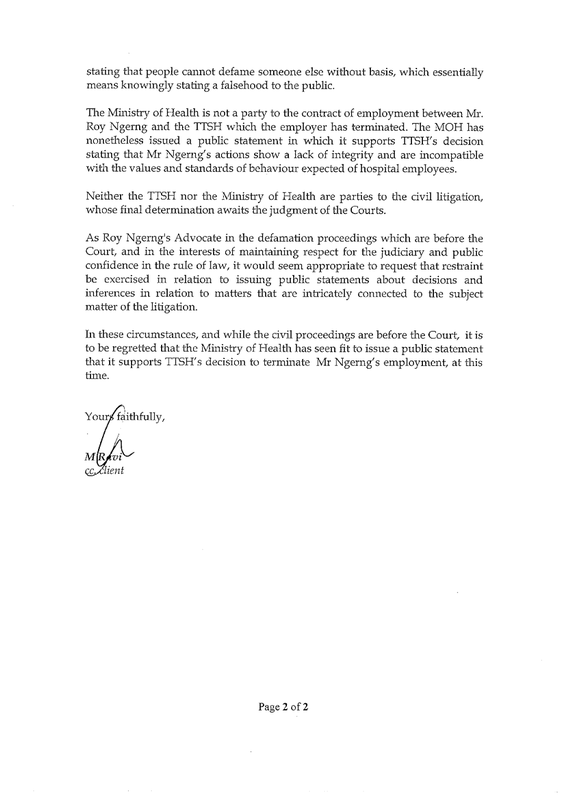 Some are accusing the hospital of jumping the gun by assuming that Ngerng is guilty of defamation before he has even gone to court. 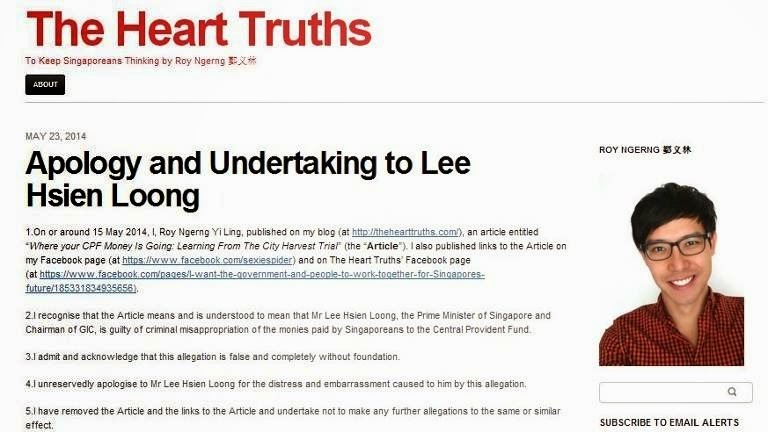 The thing is, in his letter of apology to the PM last month, didn't Ngerng pretty much "admit and acknowledge" defaming the PM in his blog? From what I understand, the PM is taking Ngerng to court because Ngerng didn't meet the PM's other demands. 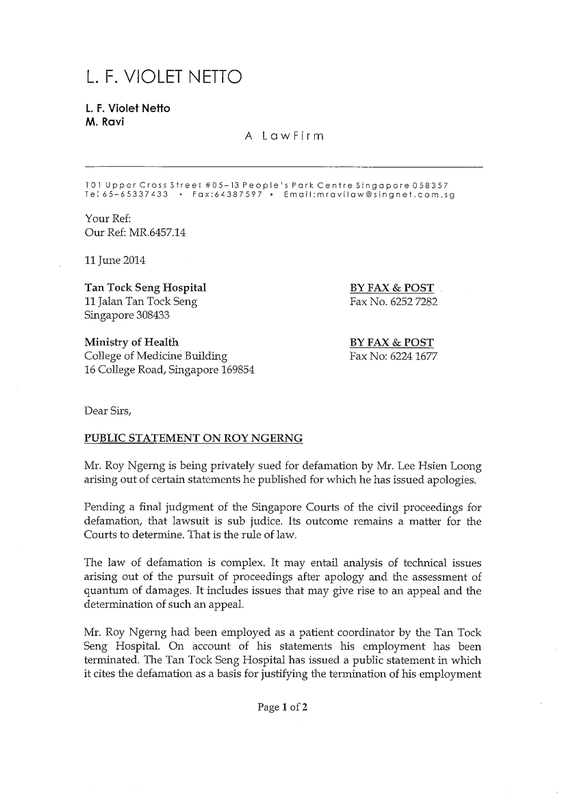 So I don't think TTSH overstepped by implying that Ngerng had defamed "someone else without basis". Maybe the hospital can sue for defamation? Nah, just kidding. So was Baey Yam Keng misquoted?